Peach & Cream polychrome with a peach green throat. Autumn Wood is a smallish diploid plant with one of the most beautiful blooms in the garden. 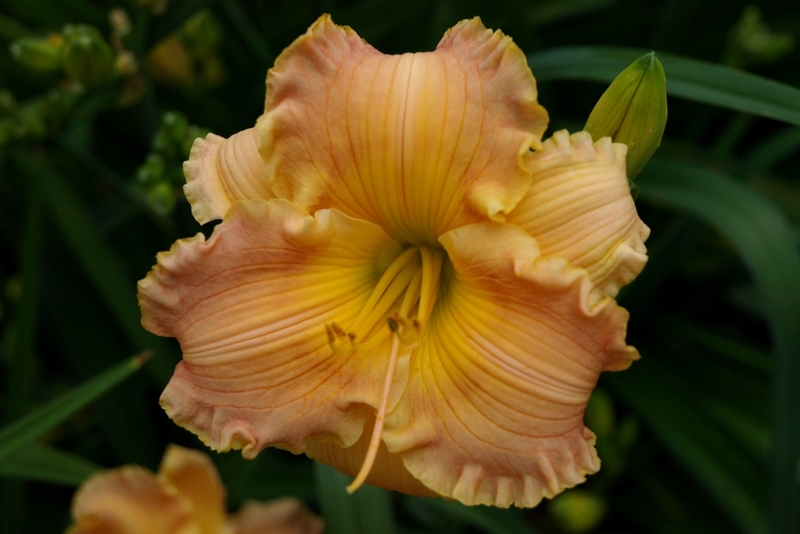 Definitely does not like to be crowded as it may not fare well if larger daylilies grow over it.